Wayne is a builder, and over the past twenty years built most of the buildings at Riverglen Holiday Park, Coromandel. 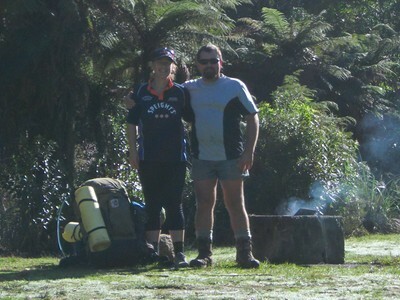 Both Gemma and Wayne are keen trampers, and can tell you all the best tramps and local tracks for you to explore during your Coromandel holiday, or for those keen to go fishing for the perfect catch, Wayne is a very keen fisherman and can share the best Coromandel fishing spots. We have 3 sons aged Fourteen, Eightteen & twentytwo who have loved growing up with the Coromandel lifestyle – Riverglen Holiday is a great spot for kids - there always somewhere new to check out. © Copyright 2019. Riverglen Holiday Park & Camp Ground.